Virtual call center software is a software system that is used in virtual call centers to manage calls, customers, and agents. A virtual contact center software allows a call center work from discrete locations maintaining the work efficiency constant. Generally call centers are the places where calls and messages are interchanged between customers and vendors. There are physical call centers that operate from specific locations while virtual call centers work from different places or remotely. Virtual call center software is basically used to help call centers work remotely from various locations. But to work from discrete locations may require the ability to integrate with different applications and platforms as well. Therefore call center software open source framework is required. An open source framework is a type of software that is free to distribute, modify and use as its source code is open for developers. There are many open source platforms are there like Asterisk, FreeSwitch, Open Sips, and WebRTC. 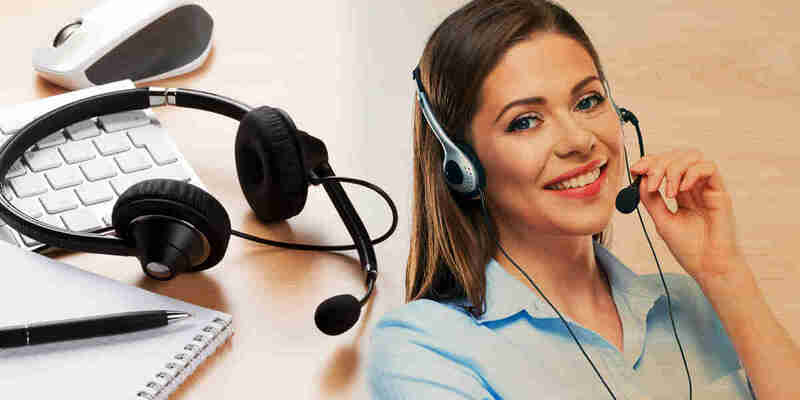 So call center software that uses these frameworks is known as open source virtual call center software or virtual call center software open source. Virtual contact center software can have numerous benefits due to their open source code. In this article, we will learn numerous benefits of virtual call center software. In a business, it is important to expand its presence. But often small businesses fail to expand their presence due to geographical barriers. It is also expensive to manage all your agents from one particular location. Virtual contact center software is crucial in such circumstances. It allows call centers and other small businesses to hire remote employees across the globe. You can easily attend thousands of agents from different countries remotely by eliminating geographical barriers. Virtual contact center software is easy to set up. It is not a bulky or heavy thing that you need to worry about. Call centers often require a good equipment or device that manages their customers and agents effectively. Virtual call center software allows you to reduce your costs. You can easily run and manage your call center without buying costly hardware or equipment. You don’t need any maintenance or disaster recovery cost with virtual contact center software. The Virtual call center software open source is different from closed virtual call center software. This means the open source framework makes the virtual contact center software compatible with various platforms and applications. It is important for a call center to utilize such virtual call center software that incorporates with different platforms. It will help businesses to expand their brand presence across many countries. For a call center business, it is important to manage their customers effectively. As per many surveys, it has been cleared that most customers love to pay more for better customer experiences. Virtual call center software has many advanced features like auto dialer, Call tracking and built-in CRM. This software allows agents in your company to know more about your customers and give them the right solutions or services. Everything you do in this era, if you are not secure the work goes in vain. I mean security should be given the highest priority in call center industry. Data about your customers matter the most every time. Virtual contact center software is cloud-hosted; hence it may encrypt the data of your consumers. You do not need to worry about any illegal attempts to steal your official data. Virtual contact center software is also secure during natural disasters. It allows small businesses to recover quickly from disasters. In this article, I tried to discuss the benefits of virtual contact center software. If you want to use virtual call center software you might need to buy it from a software company. But there are many companies out there who offer Free Virtual call center software on a trial basis. You can also choose any of such virtual contact center software provider and use the virtual call center software to know the advantages, features, and loopholes of it.